Review of STAP Screening Process in GEF-6. The meeting Agenda and STAP Provisional Work Programme for GEF-6 can be accessed at the links below. 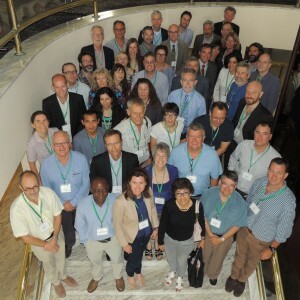 [I]nformed by the results of a global online survey of Marine Spatial Planning (MSP) in practice, 27 experts from 17 countries gathered at UNEP’s World Conservation Monitoring Centre, Cambridge to consider the added value of MSP to existing management approaches to marine and coastal systems. The Meeting forms part of a wider initiative of UNEP’s Division for Environmental Policy Implementation in collaboration with GEF-STAP, CBD Sec, GIZ, TNC and other partners. STAP participated in the Meeting to deliver its own commitments to the GEF regarding advice on MSP and this report represents STAP’s viewpoint only.